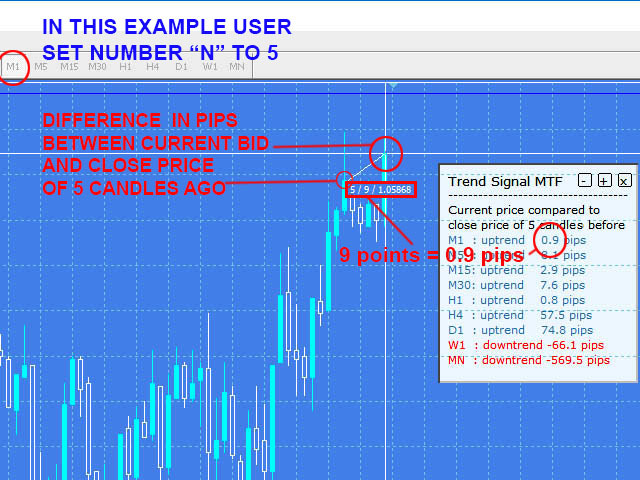 Do you want to always know in a quick glance where price is going? 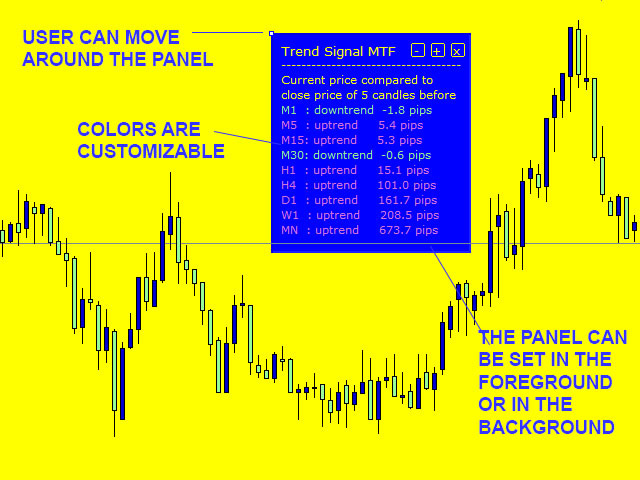 Are you tired of looking back and forth between different timeframes to understand that? 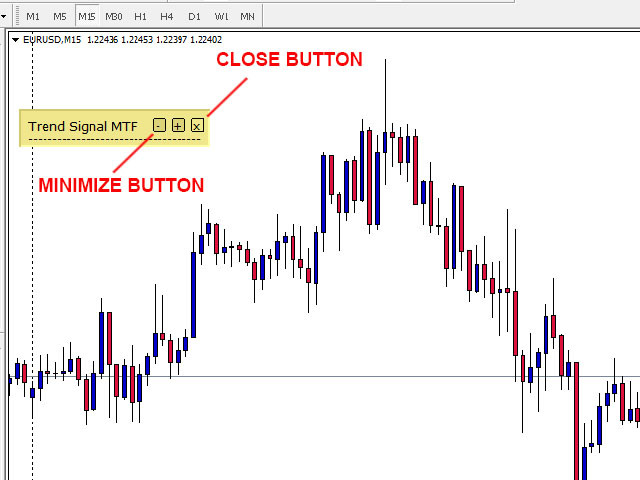 This indicator might just be what you were looking for. 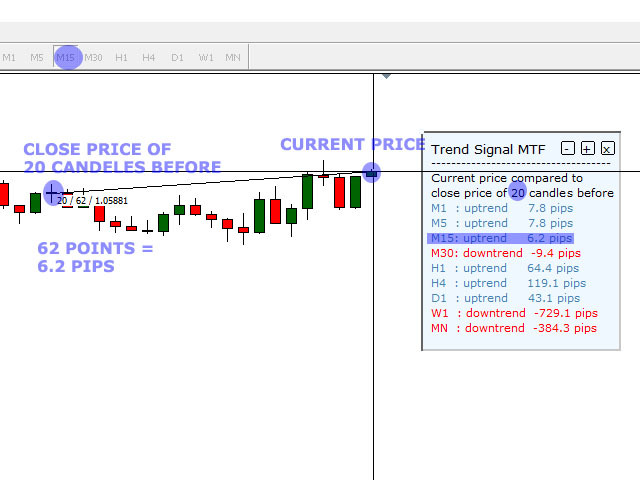 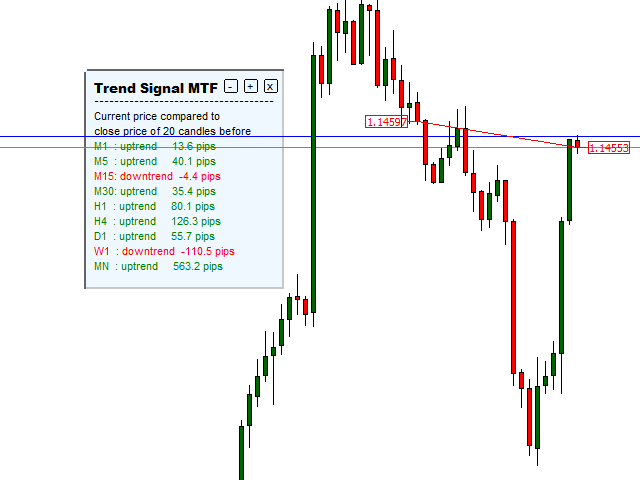 Trend Signal Multitimeframe shows you if the current price is higher or lower than N. candles ago, on the various timeframes. 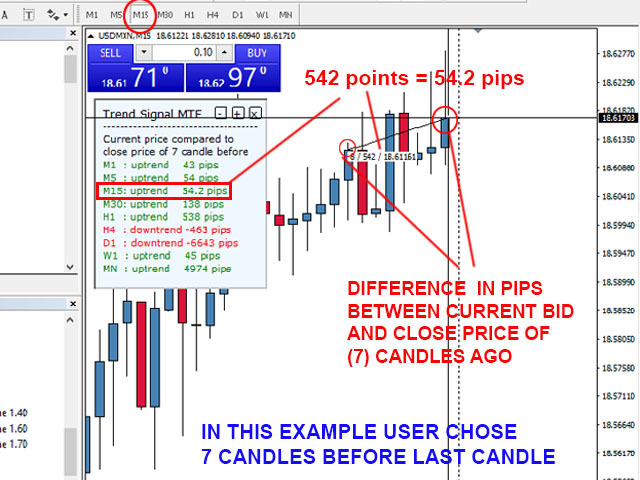 It also displays how many pips higher or lower current price is compared to N. candles ago. 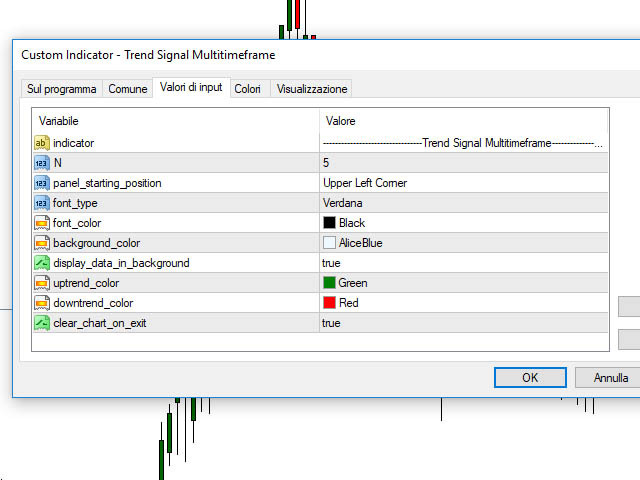 The data is shown in a window that you can move around. 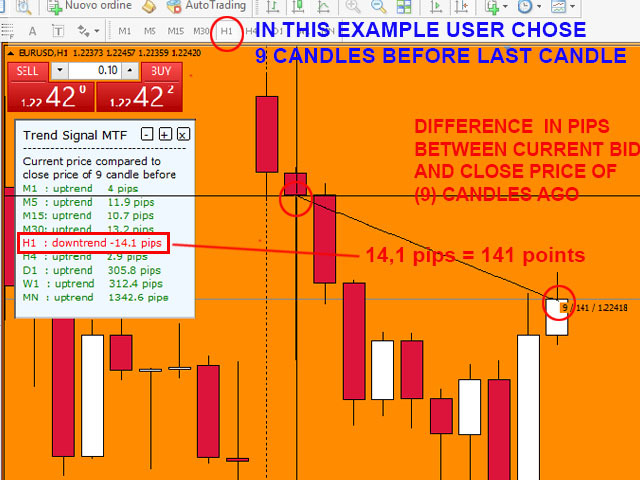 You can also choose if you want data to be shown in foreground or background compared to the chart candles.